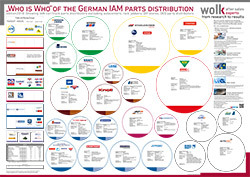 This Din A0 poster is an ideal support to get a clear overview about the smaller and middle sized independent car parts distributors in Germany at a glance. 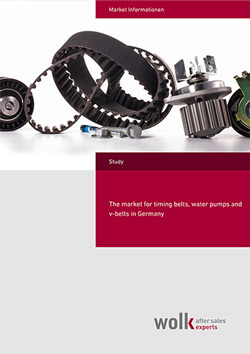 The turnover size of the shown car parts wholesalers is between 50 m and 9 m €. 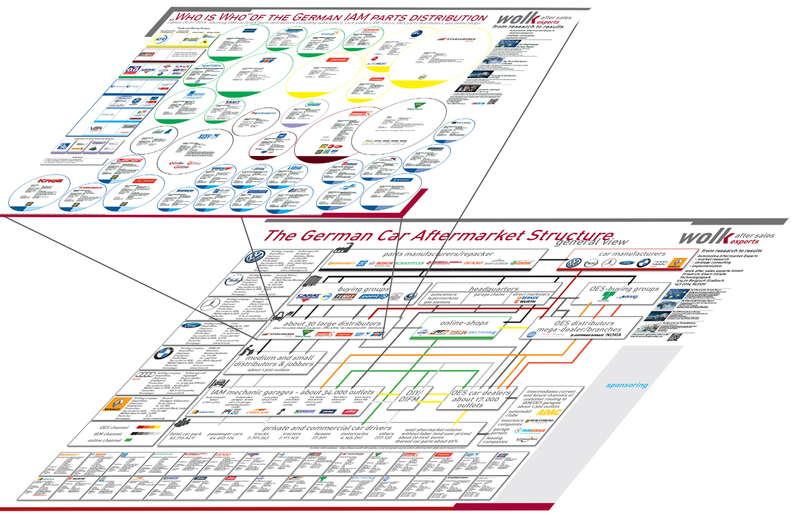 This poster is a helpful overview for those who are mainly focused on regional acting wholesalers in Germany. 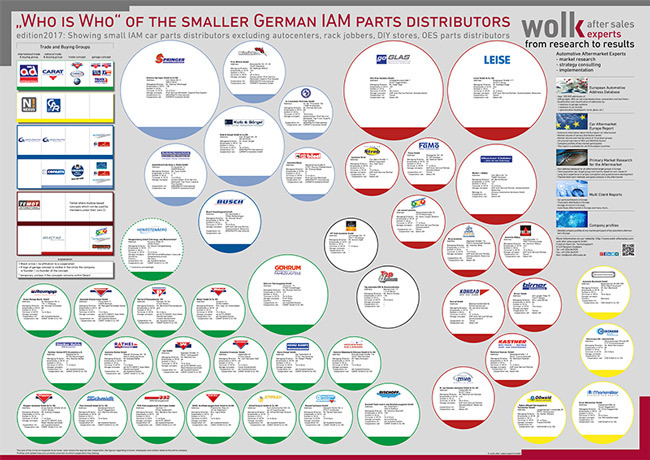 The poster shows the smaller IAM car/truck parts distributors in Germany excluding OES parts distributors, auto centers, rack jobbers, DIY stores and online shops. Further, it illustrates the relations between the distributors and the trade & buying groups. 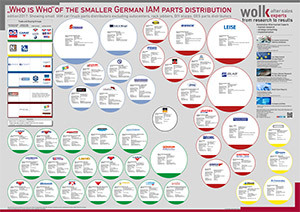 Who are the middle sized distributors for car parts in Germany? Which distributors belonging to a mother company? 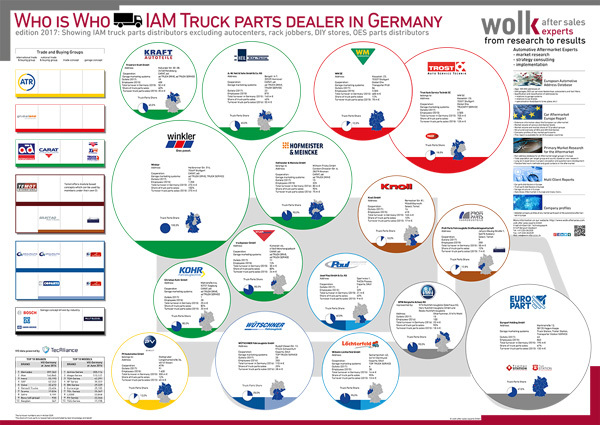 This Din A0 poster is an ideal support to get a clear overview of the truck parts distributors in Germany at a glance. It shows the main distributors and their approximate turnover share of truck parts and the geographical location of outlets. 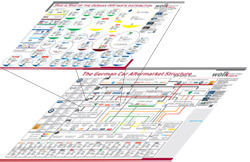 The poster shows the truck parts distributors in Germany excluding OES parts distributors, auto centers, rack jobbers, DIY stores and online shops. 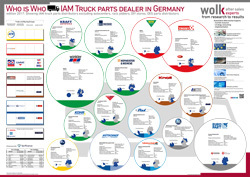 Who are the truck parts distributors in Germany? Which trade and marketing concepts are used in the market? 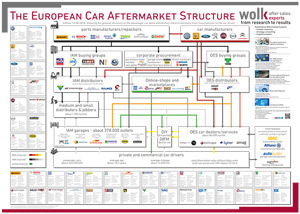 This poster presents the entire European car aftermarket with all its market participants and their distribution channels with each other clearly at a glance. On each distribution level, the largest market participants are listed as examples. 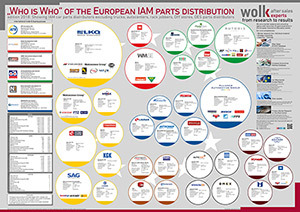 The distribution channels are shown in different colors to distinguish the independent and original equipment supplier market. The listed market participants are also illustrated with a brief company profile. In addition, the poster contains general information, such as total number of free (IAM) and authorized (OES) workshops and car park data. Use this overview for internal employee trainings, or use it in customers discussions to explain the market structures and relationships. 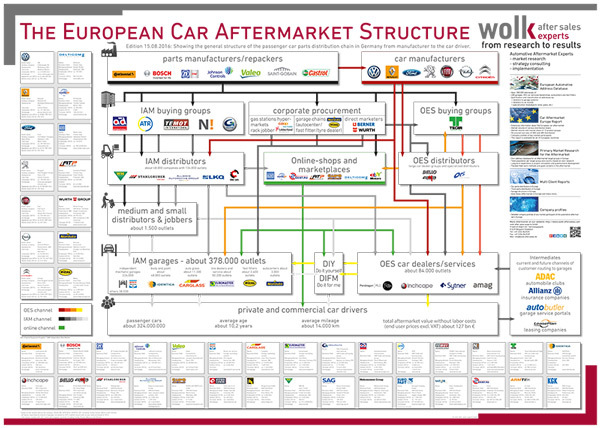 All information are based on our Car Aftermarket Europe database, which has much more detailed information. 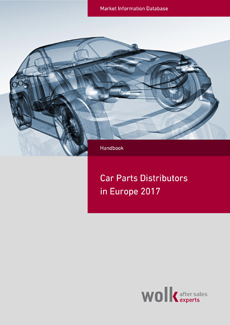 If you need information on the market size of the various distribution levels, or market shares between free and OES market, please take a look at the Car Aftermarket Report, or contact us directly.